If is there any event you should attend, this is the one. Welcome to Belgium! 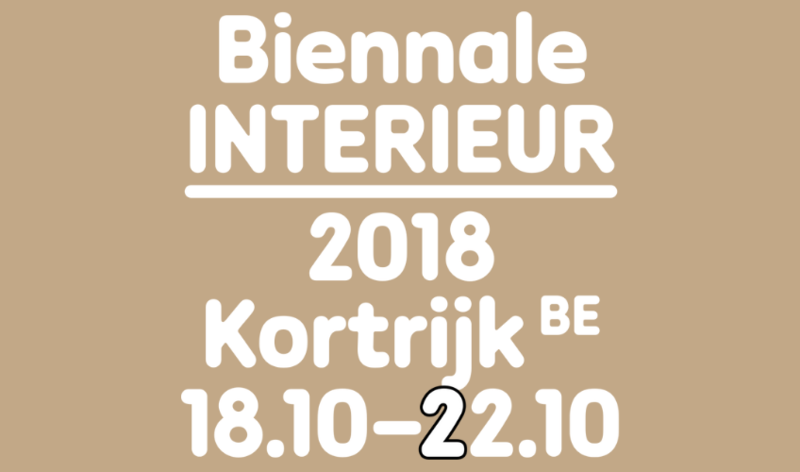 In case you don’t know what is this, Biennale Interieur is a non-profit organization acting in the field of design, product development and innovation. One of their aims was to put contemporary design for the home and interior innovations on display for a broad general public and not only for professionals, as was the case with most other fairs. So they did! Read the whole article to figure it all out! They dreamed of creating a space and an atmosphere that did not obey the laws of traditional layout and stage design. The uniqueness of the concept and the increase in international outreach, turnover, number of visitors, number of exhibitors and world-renowned design brands, press articles etc., show that there was a true need for an innovative model for design as a cultural as well as a commercial entity. The first fair took place exactly 50 years ago in 1968. The 2018 edition will be number 26, in the 50th year of the Biennale. With the 26th edition of the Biennale Interieur coming up this month, the list of the guests of honor and members of the jury of the Interieur Awards reads like a ‘who’s who of the design world’. Elsewhere in the meantime, at trade fairs or in museums, the approach to design was mainly from a single point of view, either commercial or cultural. Interieur emerged, clearly striving towards a symbiosis of culture and the strictly commercial, to become the ideal platform for the world of design. All too often one forgets that the difference between design and everyday furniture lies in the fact that design is a focus where the commercial play of supply and demand merges with the very latest developments across a range of sectors. Most of these take root in the cultural field – art, interior design, architecture, environmental planning, philosophy, sociology and psychology, the media, marketing, music, and fashion. With many exhibitors showing their work and trying to find a place in the interior design world at this massive Belgium Festival, this is an event you can’t miss! Let’s catch a place together? 2 days from now we should be in Kortrijk touring around! Ready? Here we go! Find out all about these decoration inspirations and the best lighting designs with DelightFULL‘s latest Timeless Déco – 2nd ISSUE e-book! Visit us also on Pinterest and do not forget to come by every day, we will have the best lighting suggestions for you and your home!